ConferenceSeries Ltd is pleased to invite you to participate in the “25th World Congress on Nursing & Healthcare” to be held during November 08-09 , 2018 Sydney, Australia with a theme to “Innovating the Advanced Practices in Nursing & Healthcare”. ConferenceSeries Ltd organizes 1000+ Conferences every year across USA, Europe & Asia with support from 1000 more scientific Societies and Publishes 700+ Open Access Journals which contains over 50000 eminent personalities, reputed scientists as editorial board members. Nursing Conference aims to discover advances in health practice, management and education in relation to health disparities as well as a breadth of other topics. The conference will facilitate a series of discussions about state-of-the-art processes, organizational transitions, analytics, and technology innovation within the health industry and academia, regarding transformational care delivery and health management models. 25th World Congress on Nursing & Healthcare is unique forum to bring to gather worldwide distinguished academics in the field of nursing and healthcare, public health professionals, nurse educators, researchers, nurse managers, physicians, pediatricians and healthcare professionals provides the ideal environment to disseminate and gain current knowledge in the area of Nursing and Healthcare. Nurses and other healthcare professionals will have the opportunity to network with colleagues and exhibitors; discuss best practice research, safety-related outcomes, competencies, and challenges. A nursing conference is an opportunity to meet others within specialty to network and to learn the latest clinical information. It is an opportunity no nurse should overlook. I’ve always embraced the opportunity to attend nursing conferences and have made a point to encourage others to attend whenever the opportunity arises. Nursing conferences allow nurses of all levels of experience to participate in an area of career and education growth that is not easily found within the structure of the workplace. NURSING SUMMIT 2018 brings together individuals who have an interest in different fields of nursing like psychiatric, cancer, cardiac, critical care, adult & women health, legal, pediatric and emergency nursing, midwifery, public health, healthcare and medicine from practice, research, administration, policy and education. It is a forum to explore issues of mutual concern as well as exchange knowledge, share evidence, ideas, and generate solutions. Nurse education consists in the theatrical and practical training provided to nurses with the reason to set them up for their obligations as nursing consideration experts. The purpose of Nursing Education is to enhance the development of the nursing profession by educated the nurses in their specific area. Nursing education is skill based training provided to the nursing opted students. They are provided with training on care of individuals and communities and families to attain, recover their optimal health. They may vary from regions and approach based on their scope of practice and their diversity in practice. This is the unique courses of medical education which contents both theoretical and practical training provided to nurses for the purpose to prepare them as nursing care professionals. Educating, assessment and learning and clinical practice furnishes clinical attendants with the hypothetical foundation and down to earth devices important to succeed as a clinical nursing teacher. The hypothesis used to bolster the act of clinical education is displayed in a clear, effortlessly comprehended way. 24th World Nursing and Healthcare Conference, June 14-16, 2018 Barcelona, Spain; 38th Asia-Pacific Nursing and Medicare Summit, October 15-16, 2018 Osaka, Japan; 47th Global Nursing & Healthcare Conference, March 01-03, 2018 London, UK; World Congress on Nursing and Health Care April 16-17, 2018 Dubai, UAE;6th Annual Congress & Medicare Expo on Primary Healthcare, May 14-16, 2018 Tokyo, Japan; 30th Global Experts Meeting on Neonatal Nursing and Maternal Healthcare, May 14-16, 2018 Singapore; 7th World Congress on Midwifery and Women’s Health, May 14-15, 2018 Singapore; 5th Asia Pacific Gynecology and Obstetrics Congress, August 22-23, 2018 Tokyo, Japan; 24th Global Registered Nurse and Nurse Practitioners Conference, May 14-15, 2018; 49th Annual Nursing Research and Evidence Based Practice Conference, August 20-21, 2018 Tokyo, Japan; 2018 ANA Annual Conference Call for Abstracts, Orlando, FL, March 21- 23, 2018; VA Healthcare 2018. Nursing encompasses autonomous and collaborative care of individuals of all ages, families, groups and communities, sick or well and in all settings. Nursing includes the promotion of health, prevention of illness, and the care of ill, disabled and dying people. They have to make a care plan for the individuals for each day and maintain records of the same. This is essential to assess a patient’s treatment and response during the treatment and the patients’ records and history are very essential for future diagnostics. As an integral part of the healthcare system, nurses have the important duty of assessing and monitoring the patients’ vitals, health status, medications and changes in their conditions from time to time. Nurse practitioners are advanced registered nurses educated and trained to provide health promotion and maintenance through the diagnosis and treatment of acute illness and chronic conditions. Nurse practitioner is a nurse possessing a graduate degree in advanced practice nursing. This type of provider can be referred to as an Advanced Registered Nurse Practitioner or Advanced Practice Registered Nurse. The NP is allowed to provide a broad range of health care services, which may include midwifery and anesthetist. Their duties include taking into account of the person's history, performing a physical exam, and ordering laboratory tests and procedures. Diagnosing, treating, and managing disease, writing prescriptions and coordinating referral Providing education on disease prevention and healthy lifestyles Performing certain procedures, such as a bone marrow biopsy or lumbar puncture. Psychiatric and mental health nursing is a specialty within nursing. Psychiatric mental health registered nurses work with individuals, families, groups, and communities, assessing their mental health needs. The PMHN develops a nursing diagnosis and plan of care, implements the nursing process, and evaluates it for effectiveness. Psychiatric Mental Health Advanced Practice Registered Nurses (PMH-APRNs) offer primary care services to the psychiatric-mental health population. PMH-APRNs assess, diagnose, and treat individuals and families with psychiatric disorders or the potential for such disorders using their full scope of therapeutic skills, including the prescription of medication and administration of psychotherapy. PMH-APRNs often own private practices and corporations as well as consult with groups, communities, legislators, and corporations. A psychiatrically medical attendant can got to have accomplished a four-year school education in nursing to finally end up a RN (RN) and have sensible expertise in psychological well-being. The degrees amendment in varied nations, check government directions. psychiatrically attendants add healing facility, mental foundation, remedial institutions and various completely different offices. Emergency Nursing may be a specialty during which nurses take care of patients within the emergency or crucial section of their ill health or injury and square measure adept at discerning serious issues, prioritizing the urgency of care, quickly and effectively concluding resuscitative measures and alternative treatment, acting with a high degree of autonomy and skill to initiate required measures while not outside direction, educating the patient and his family with the data and emotional support required to preserve themselves as they deal with a replacement reality. ENW is a pointer to the most effective at intervals every specialty and promotes emergency nurses as an audience. several activity teams could also be concerned in caring for emergency patients and also the patient is best served if all concerned in his care perceive one another and work hand in glove.ER nurses work as a part of a team with physicians, alternative nurses and tending professionals to supply care, monitor health conditions, set up long-run care desires, administer drugs, use medical instrumentation, perform minor medical operations, and advise patients and their families on ill health, care and continuing care when a hospital keep. A person whose job is to help a dental practitioner within the treatment of patients. 'Often dentists are going to be managing a team of individuals encompassing dental nurses, hygienists, receptionists et al., thus sensible body and social control skills are required. 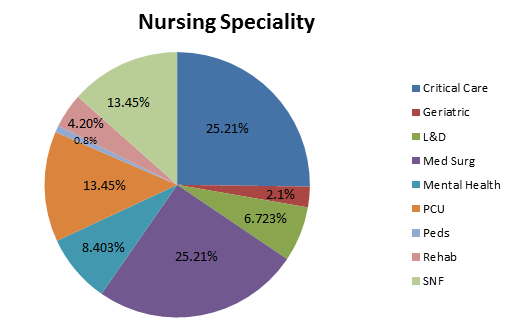 This qualitative analysis concerned focus teams of dental nursing students across coaching establishments serving hospital and dental services. Students' motivation, career expectations and influence factors on their skilled careers were explored. Interviews were recorded and transcribed verbatim. Framework Analysis was wont to analyze information in a very five-stage approach: experience, developing a thematic framework, indexing, charting and mapping and interpretation. National Institute of Dental and Craniofacial Research-supported PBRN (Practice-based analysis networks) and discusses the role it will play in dental education. PBRNs produce a structured pathway for suppliers to advance their skilled development by collaborating within the method of collection knowledge through clinical analysis. This method permits practitioners to contribute to the goals of proof-based deontology by serving to produce a foundation of proof on that to base clinical selections as against hoping on anecdotal evidence. Communities are struggling with a large number of people across the lifespan, who receive minimal or no health care because they cannot afford or access services. Nurses have always cared for individuals, families and communities in their practice. Recently, there has been an increase in the number of nurses working outside the hospital, primarily in community-based settings that focus on individuals and families. There is also increasing emphasis on community-focused nursing care with the community as the client. The population of ageing and chronically ill patients is increasing, and, coupled with the complex social conditions of today, has led to ill health, which increases hospital care expenses. Professional health services are not capable of meeting the ever-increasing demands of health care in this changing health culture. Health systems management or health care systems management describes the leadership and general management of hospitals, hospital networks, and/or health care systems. In international use, the term refers to management the least bit levels. Within the U.S., management of one establishment (e.g. a hospital) is additionally said as "medical and health services management”,” tending management", or "health administration”. Health systems management ensures that specific outcomes square measure earned, that departments at intervals a health center square measure running swimmingly, that the proper folks square measure within the right jobs that individuals understand what's expected of them, that resources square measure used expeditiously which all departments square measure operating towards a standard goal. Cardiovascular nursing is a nursing strength that works with patients who experience the ill effects of sundry states of the cardiovascular framework. Cardiovascular restoration (heart recovery) is a professionally managed project to profit individuals instaurate from heart assaults, heart surgery and percutaneous coronary intercession (PCI) techniques, for example, stenting and angioplasty. Heart disappointment care administration or patient unending consideration administration is a human services circulation model where every tolerant's one of a kind medicinal needs and objectives of consideration are composed and imparted for the best conceivable results. Cardiomyopathy is the quantifiable disintegration for any reason of the capacity of the myocardium to contract, generally prompting heart disappointment. The most common type of cardiomyopathy is expanded cardiomyopathy. Serious hemodialysis is a technique for mechanically purging the blood outside of the body, with a specific end goal to extract sundry substances that would unremarkably be cleared by the kidneys. This section in several Nursing Conferences and Nursing Meetings addresses Cardiac rehabilitation, Cardiomyopathy, Heart attack/Heart failure, Coronary artery disease, Intensive hemodialysis, Health care for cardiovascular diseases. Public health nursing is the practice of promoting and protecting the health of populations using knowledge from nursing, social, and public health sciences. The public health policy thought of provincial wellbeing combines various fields, including geography, maternity consideration, nursing, human science, budgetary matters, and telehealth or telemedicine. Public health nursing practice focuses on population health, with the goal of promoting health, and preventing disease and disability. Public Health Nurses comprise the largest segment of the professional public health workforce and serve in many different critical roles. Public Health Nurses work with the individuals and families that compose the communities and the systems that affect the communities. They work in a variety of settings such as health departments, schools, homes, community health centers, clinics, correctional facilities, worksites, etc. The knowledge and skills of Public Health Nurses enable them to make significant contributions to public health. Their clinical knowledge and unique relationships to those they serve assist in designing and implementing programs and policies to meet the needs of vulnerable populations. The combination of a clinical nursing background with knowledge from the public health and social sciences provide a sound basis for public health leadership positions. Primary Care and Cancer Nursing is a care delivery system that supports professional nursing practice. Within Primary Nursing, a therapeutic relationship is established between a registered nurse and an individual patient and his or her family. Cancer nursing and oncology is the field of medicine that is devoted to cancer. Clinical oncology consists of three primary disciplines: Medical oncology, surgical oncology and radiation oncology. Globally there are 345 international and national cancer associations. This statistical surveying report evaluates that the worldwide pancreatic malignancy medication business will be worth USD 1.2 billion by 2015. The worldwide oncology medications business is required to achieve at $111.9 billion by 2020. The report gives examination and estimates to the pancreatic disease market from 2012-2018. Enlisting a compound yearly development rate of 14.60% from 2011 to 2018, the business for oncology biomarkers was esteemed at $13.16 billion in 2011 and is required to be worth $29.78 billion in 2018. Future movements in innovations in nursing, gigantic information especially, will concentrate on the total and change of patient information into imperative finding that can enhance quiet and monetary results. Today, different healthcare associations are looking to the future and considering gamification as an approach to manage develop delegate engagement, joint exertion, and productivity moreover to change their conduct to more prominent business targets. Because of this commitment, it’s necessary to solve the problem related to the shortage of nurse faculty and nursing research, the aim of this team work to support for such the construction of Evaluating Innovations in Nursing Education (EIN) to fund evaluations of nursing educational interventions. Women Health Nursing exclusively serves women of the world. Women Health Nursing works on Obstetrics and Gynaecologic malignancies, hypertension, diabetes, orthopaedics, endometriosis, pregnancy management, breast cancer and other cancers afflicting the women, neonatal care, nursing care during childbirth and preterm birth prevention, HIV/AIDS women patients and several other diseases and illnesses that women suffer, the women Health Nursing Professional takes care of patient care and healthcare deliveries. In all these patient care deliveries, what else needs to be done in Women Health. Women's Health Nurse Practitioner role focuses on primary care for women. Primary care is first access to comprehensive care involving health promotion or disease prevention and nursing management of common acute and chronic conditions. Nutrition is an integral part of healthcare. Nutrition monitoring and advice plays an important role in the overall well-being of a patient and response towards treatment. Nutrition is a science of food and nutrients in body growth, development, maintenance, and its relationship to health. Good supplements of nutrients such as such as proteins, vitamins and minerals form rich nutritional status, which in turn enable us to grow well and enjoy good health. Carbohydrates and fat are good energy yielding foods and they contribute to metabolism and energy requirements. Consumption of nutrients for a better health is available in the form of plant and animal origin. There are body building (meat, milk, poultry, fish, eggs, pulses etc. ), energy giving (cereals, sugars, fats, oils etc.) and protective foods (vegetables, fruits, milk, etc. ), which supply ample amount of nutrients and health. The primary dictum for registered nurses, as health care professionals, is First, do no harm. In the increasingly complex environment in which health care is delivered today, registered nurses are the premiere advocates for the safety and quality of patient care, health care practices and products. Pollution, contamination of food and water, indoor and outdoor air quality issues, lead paint, toxins in health and beauty aids, etc. Well, we surely all get the point – there are myriad risks inherent in our daily environment and some are especially vulnerable to these hidden dangers. It’s a focus that increasingly involves many disciplines, both from within and outside the healthcare community. On the broad level, it involves research, assessment, advocacy, policy development and community education; on a more personal scale, the patient-provider level, it finds dedicated healthcare professionals incorporating new understanding and new skills into their daily practices. Nursing Summit 2018 is glade to invite attendees, presenters and exhibitors from all over the world to Sydney, Australia for 25th World Congress on Nursing and Healthcare during November 08-09, 2018.The conference emphasizes the theme “Innovating the Advanced Practices in Nursing & Healthcare ” The organizing committee is preparing for an exciting and informative conference program including workshops, lectures, symposiums on a wide variety of topics, poster presentations and various programs for participants from across the globe. Nursing conferences 2018 brings together individuals who have an interest in different fields of nursing like psychiatric, cancer, cardiac, critical care, adult & women health, legal, Pediatric and emergency nursing, midwifery, public health, healthcare and medicine from practice, research, administration, policy and education. It is a forum to explore issues of mutual concern as well as exchange knowledge, share evidence and ideas, and generate solutions. Nursing Summit 2018 aims to discover advances in Nursing and health practice, management and education in relation to health disparities as well as a breadth of other topics. A nursing Professionals has a special set of competence and ability. Not only can they diagnose patients and finally provide medication, but they also serve in leadership and consulting roles. NCS’s are prominent and impact health care across the board, from reducing medical complications to improving patient satisfaction. In Australia, and many other parts of the world, the demand for Nursing & Healthcare services is increasing as the nurses are indispensable members of health teams and as health professionals closest to the public play a crucial role in health promotion, disease prevention, treatment and care. Nursing is a popular field of study in Australia and is taught at universities in every state and territory. With diverse workplace surroundings and areas of expertise, Nursing can be a highly satisfying and nourishing career choice. But while nursing can be a deeply rewarding career it can also be emotionally taxing, and the hours are often long and irregular—with the result that healthcare employers often struggle to fill roles. Let’s look at the state of the nursing labor market, and ways employers can attract more candidates. Because, let’s face it—we can’t live without nurses. Nursing Summit 2018 provides a global platform for global networking and exchanging latest innovations in nursing and healthcare and offering Opportunity to attend the presentations delivered by Eminent Experts from all over the world. The Australian health system is a mix of public and private sector service providers. The number of RNs working in both the public and private sectors increased from 2009 to 2012, with the number working in the private sector increasing at a greater rate than those in the public sector. This resulted in the percentage of all RNs employed in the public sector falling by three percentage points from 2009 (69 percent) to 2012 (66 percent), with the percentage of RNs employed in the private sector increasing three percentage points. Overall, the total number of employed ENs fell slightly from 2009 to 2012 (by approximately 100 ENs). While over half of all ENs were employed in the public sector in 2012, the move from employment in the public to private sectors was more pronounced in the EN workforce – with the percentage of ENs in the public sector falling from 62 percent to 55 percent, and a corresponding increase in private sector employment (from 38 percent to 45 percent). Dominique Letourneau Créteil, University School of Medicine, France.